As a thank you for the support and the great feedback you can use discount code BLACKFRIDAY and get 40% off your order on Etsy and Ravelry. The code will be valid till 30.11.2016, minimum order $5. Feel free to share it with your friends and fellow crocheters. Pingo's Facebook page just reached 5000 likes! As a thank you for the support and the great feedback you can use discount code THANKYOU and get 25% off your order on Etsy and Ravelry. The code will be valid till 12.04.2016. Feel free to share it with your friends and fellow crocheters. Since today you can get the crochet patterns for Abby and Robin on special price. Abby and Robin are two wonderful little frogs. They are very curious about the world we live in and will be faithful friends to every kid. They have big eyes and little pink cheeks. Abby is beautiful young and fashionable lady. She has red skirt with a little cure ribbon and matching red shoes :) Abby's friend Robin is a handsome young gentleman. He has blue pants and a fashionable red bow tie. Today only, the crochet pattern for Abby and Robin (both frogs) is available on special prise in all shops: Etsy, Craftsy and Ravelry. Let me introduce you Robin – The Frog! Robin is a handsome young gentleman. He has blue pants and a fashionable red bow tie. Robin has big eyes and little pink cheeks. He is very curious about the world we live in and would be a faithful friend to every kid. Robin's crochet pattern is available at Pingo's shops: Etsy and Ravelry! ONLY today you can get it on special price. The crochet pattern for Abby was published in February, you can find it here: Etsy and Ravelry! This little buddy will be a faithful friend to every Easter egg! 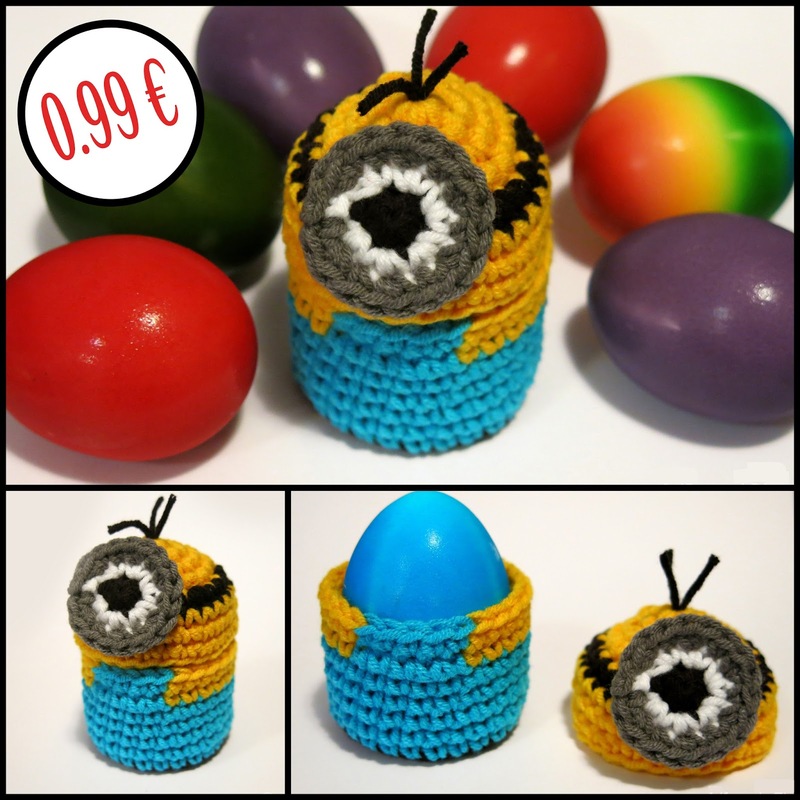 Hurry up, the pattern is on SALE for limited period of time (no coupon code needed, original price 1.50 EUR). Stylish and cute, those open toe ballerina slippers are perfect for the summer days. The slippers are very comfortable, they stay on perfectly and are very easy to make. The Me and Mini Me (baby and adult size) crochet patterns for those wonderful ballerina slippers are available on special price (today ONLY) at Pingo's shops: Etsy and Ravelry. If you would like to see more pictures of the adult Princess Slippers or to try only the adult's pattern, you can find it listed separately at Etsy and Ravelry. If you would like to see more pictures of the Mini Princess Slippers or to try only the baby pattern, you can find it listed separately at Etsy and Ravelry.